First dates can be nerve-wracking for everyone, so just imagine when your date mentions that he's a recovering alcoholic. You may be wondering what this means for your relationship, or if he's even capable of being in a real relationship. While recovering alcoholics may have a troubling past, they're every bit as human as everyone else. In most cases, dating can be considered mostly normal, with just a few exceptions. Dating a recovering alcoholic isn't as tricky as it seems. Communicate with your significant other to find out what they are and aren't comfortable with. For example, some recovering alcoholics are perfectly fine being around alcohol as long as they don't drink any. Others may find this too tempting and would prefer to be in other environments. Listen to your significant other and respect her boundaries. Listen and be patient. 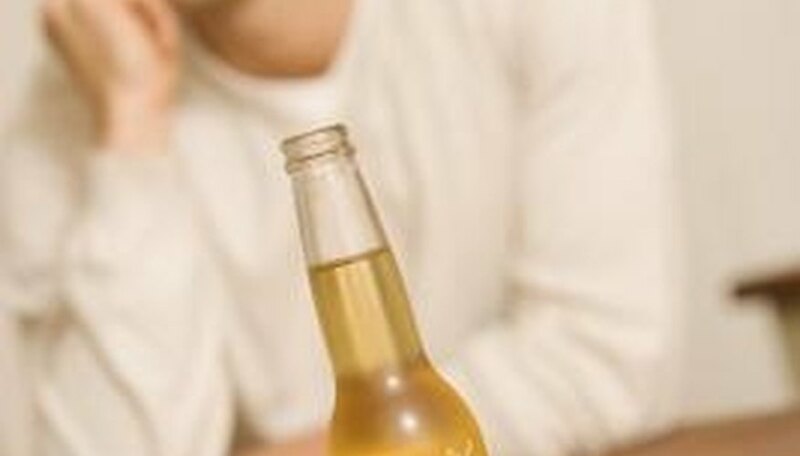 Alcoholics often have a reason for why they struggle with drinking so much, and recovering alcoholics may still be trying to work through those previous problems. Be understanding if your significant other isn't ready to talk about his past, but when the time comes that he is willing to talk, be supportive and never judgmental. Having someone to lean on can be the difference between relapsing or staying sober. If your significant other remains reluctant to talk about his past problem, discuss the option of therapy, either alone or together, which can be very helpful to past alcoholics. Understand that sobriety should always come first in the relationship. For example, some couples may want to go out to a fancy restaurant on their anniversary and share a glass of wine. Recovering alcoholics may not be ready to have only one drink. You should never put your significant other in a position where she has to choose between remaining sober or being with you. Take all this into consideration before planning dates, family gathering, work parties or anything else. A healthy relationship requires work on both parts, and compromise and understanding can go a long way towards helping that relationship blossom. Encourage your significant other to continue treatment, even after remaining sober for a while. Many alcoholics remain in AA for years after they've quit drinking because it helps them cope with their problems. AA should be something that both of you are proud of. You can show your support for this by joining Al-Anon, which is an AA support group for spouses of recovering alcoholics. Accept that we all have problems but are still human. Recovering alcoholics have already accepted that they have a problem and are seeking help. By admitting to yourself that you also have problems, you create a bond with the person and help the relationship grow stronger. You may not struggle with alcohol, but everyone has things they struggle with. By working together through the ups and downs in life, you give yourself and your significant other the satisfaction of helping each other. That alone can be the difference between staying sober or getting wasted. Leanne Canirs has been a freelance writer since 2010. She focuses her work on an online audience, writing for various websites. She is currently pursuing a Bachelor of Arts in journalism at University of West Florida. Canirs, Leanne. "How to Date Recovering Alcoholics." Dating Tips - Match.com, https://datingtips.match.com/date-recovering-alcoholics-8067723.html. Accessed 21 April 2019.